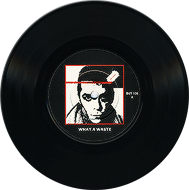 This re-release of 'What A	Waste!' 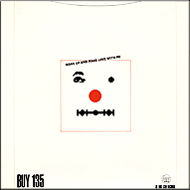 comes with the cover I love best, even more than the original cover. 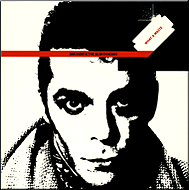 A portrait of Ian Dury, remaining no shadings, only black and white parts are existing. 'Razor-blade-sharp' with his hypnotizing gaze. Therefore don't forget to pay attention to the razor blade on this cover. The back shows a funny face using a razor-blade-recess shaped mouth. 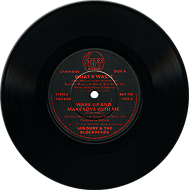 Again two different labels, the front cover picture is repeated on face A, the flipside contains the information about the songs and the credits. To describe this design as sharp is a must!